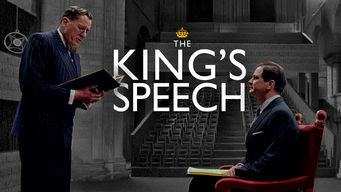 How to watch The King's Speech (2010) on Netflix Argentina! Yes, The King's Speech is now available on Argentine Netflix. It arrived for online streaming on October 7, 2017. We'll keep checking Netflix Argentina for The King's Speech, and this page will be updated with any changes. During a tense period in history, King George VI struggles to communicate to the public and seeks help from speech therapist Lionel Logue. To calm a nation at war, King George VI must overcome his stutter. What followed was an unlikely friendship.